Law : Template 56969 is a member of our law designs family. 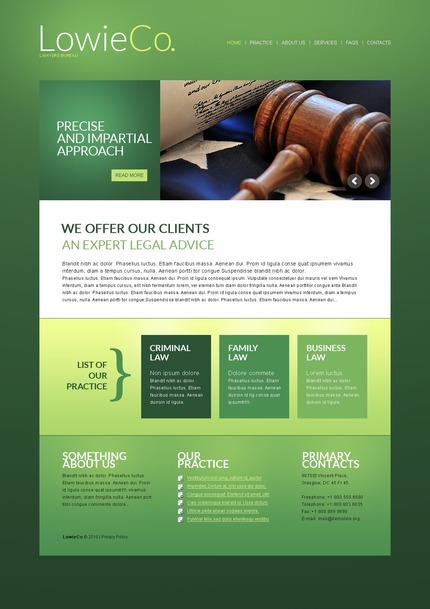 Designed specifically for lawyers, attorneys, law firms and related fields. If you are in this professional field, then this template makes your case! Bonus with every purchase With each template purchase you get Free Web Design Elements: photos, fonts, icons, 3d models, sounds. Buy template 56969 from zeronese today and get access to the Free Clipart & Free Web Design Elements library.